In Part I of this series we examined the two block styles of YAML, literal and folded, as well as the three block chomping methods, strip, clip and keep. In this post we want to investigate how these styles and methods interact with different Ansible use cases. A literal style block with clip chomping is used to send several commands. Folded style would not make any sense here, except if you wanted to either pipe the commands or chain them with && or ||. I had a strange problem with variables spanning multiple lines in Ansible. During the process of debugging it, I learned a bit about multi line strings which are called “blocks” in the official YAML specification. In this blog post we’ll examine the different YAML block styles and block chomping methods. In Part II we will then learn the use cases and quirks of each style when used in Ansible. We’ll run this base playbook for each style via ansible-playbook -v playbook.yml and will only replace the variable with the corresponding style. There are two basic styles of blocks in YAML, literal and folded. Both have different advantages and disadvantages, especially when used in Ansible. "my_pattern": "With his own sword,\nWhich he did wave against my throat, I have ta’en\nHis head from him.\n"
I recently encountered a problem with my Horde installation. 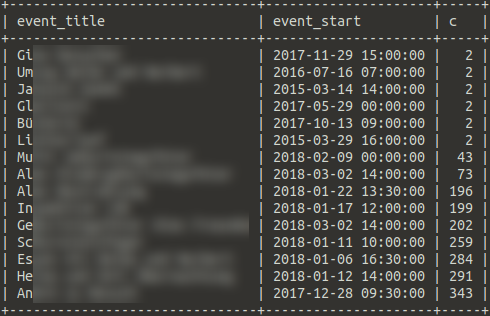 Due to an app misconfiguration, my wife created hundreds of calendar entries for the same event [Edit 2018-04-17: It turned out, she also created thousand of duplicate tasks. Yay!]. It is tedious to delete every event by hand, so I wanted to drop the entries from the database. As this is something other people might profit from, I’m documenting it. Of course part of this procedure can be done with other MySQL databases as well. Ouch! That are a lot of duplicate entries. Let’s delete them! I’ve been an avid gamer for ages. I’ve also been using two monitors for ages. And I’ve had my fair share of problems with this combination already. Some time ago I broke my arm. Therefore my gaming life was handicapped severely and I was limited to mouse only games. No big deal, there are still a lot of games waiting to be played in my Steam and GoG libraries. As I’m German, I of course decided to start with some economy simulations. 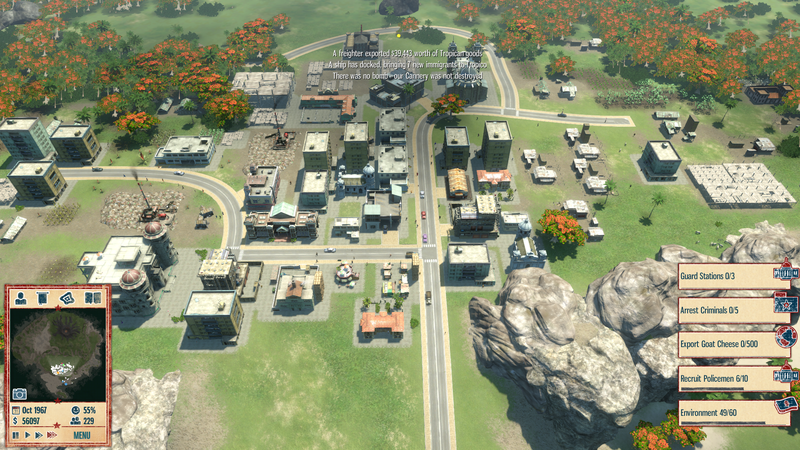 Anno 1404 and Tropico 4 were my first choice of games. Sadly both games had some kind of problem with my second monitor. Tropico 4 didn’t capture my cursor, leading to issues with scrolling via cursor movement to the right edge of the screen. As the cursor moved to the second screen then, a click would lead to a minimization of the game, which was pretty annoying after some time. This is the translation of a post I wrote four years ago. I needed an english version of it for a friend of mine. This deactivates all swap storage first, leading to a drainage of the currently contained data. Afterwards the swap space is activated again. This command shows the current used swap and refreshes every three seconds. Of course, the used swap space should continously decrease and finally be zero. If you only want to empty one swap partition, you can substitute the -a switch in the first command with the paritition you want to drain, e.g. /dev/sda2.